Each year Beaumont takes on capital projects that help maintain or improve the municipality’s infrastructure. Construction projects are budgeted for each year through Beaumont's budget process. The portion of trail highlighted in red will be closed until further notice and the alternate routes in green must be used. Beaumont Council approved the 50 Avenue Streetscape improvements and the project will be considered in the 2019 budget cycle. 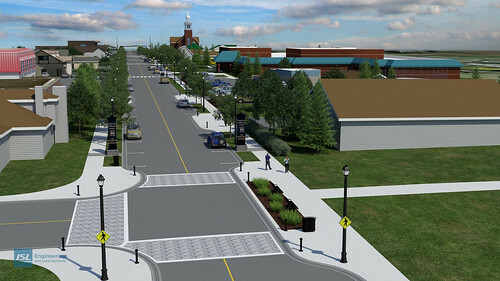 This project will continue to support the vision of the Centre-ville area. As per the goals and objectives in the Downtown Urban Design Concept Plan (DUDCP), 50 Avenue is another critical piece of infrastructure that will support the vision, enhance the area and set the stage for continued redevelopment activities.